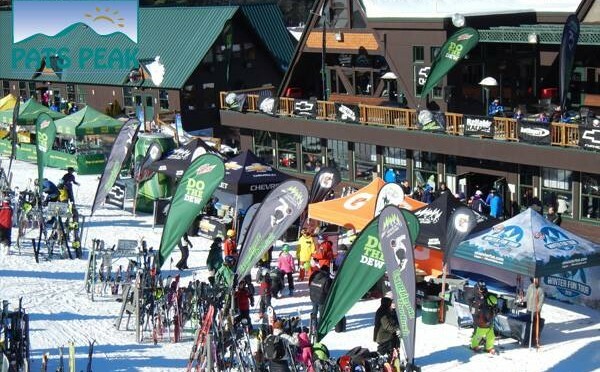 Henniker, NH – New Hampshire’s Pats Peak ski area is participating in the Vertical Challenge Race Series sponsored by Mountain Dew on Sunday, February 7. It’s a fun, all-day event for the whole family with a slalom race, prizes, giveaways, awards party and more. The race will take place on the Downdraft trail at Pats Peak. Participation in the race is free of charge to all who have purchased a Pats Peak lift ticket for that day or have a Pats Peak Season Pass. The race is open to skiers and snowboarders of all ages and abilities with over 30 race categories. The top three racers in each category are awarded Gold, Silver, and Bronze medals. All medal winners receive free lift tickets for the Finals, to be held at Jay Peak Resort in Vermont, April 7-10. 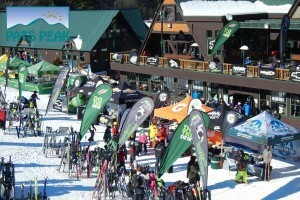 Registration takes place from 7:30 a.m. to 10:30 a.m. in the Pats Peak Main Lodge on the day of the event. Children under 18 years of age must be accompanied by an adult for registration. A pre-registration form is available online at skiverticalchallenge.com. The Vertical Challenge Race starts at 10 a.m., followed by a Victory Party at 1:30 p.m. Participants and resort guests will be entertained throughout the day with interactive games, music, thousands in raffle prizes and plenty of free Mountain Dew.